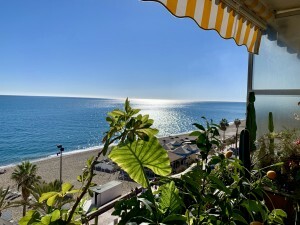 Wonderful Villa in perfect condition and with panoramic sea views, situated 1.5km from the beach and 1km from BENALMADENA PUEBLO. First floor: Entrance hall, fully fitted kitchen with separate utility room, separate dining room with sea views and access to the terrace, spacious living room with fireplace, sea views and access to a terrace. 2 double bedrooms with fitted wardrobes and access to the terrace. 2 bathrooms (1 en suite). 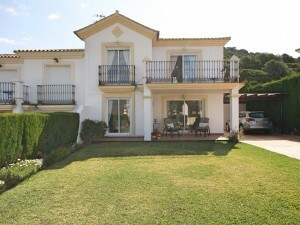 Exterior: Beautiful entrance porch and terrace with panoramic sea views, Jacuzzi and barbecue. Heated pool surrounded by sunny terraces with sea views. Low maintenance garden with automatic irrigation system. Terraces and seating areas plus a large roof. Garage # 2, driveway with automatic gate. Property in perfect condition with marble floors, double glazed windows, air conditioning and heating, security cameras and large water tank. 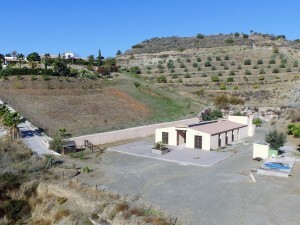 Plot 887,50m2. Living area 222,54m2 more 97,79m2 terrace, swimming pool 24m2. 2nd garage 29,28m2. Rubbish 310? per year. IBI 1.766,49? per year.